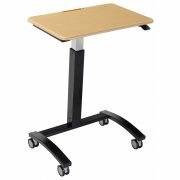 Surge standing student desks glide smoothly into place, so every child can work in their preferred position. 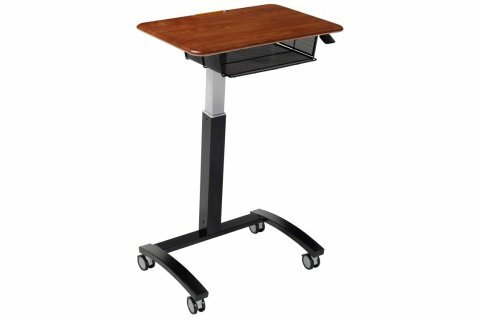 A pneumatic height-adjustment mechanism makes it easy to move from sitting to standing and back again. By pressing on the no-pinch safety lever, students can independently guide the work surface into place whenever they want. 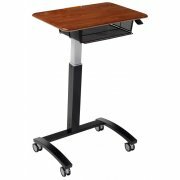 Once you find the right position, these sit/stand desks provide a comfortable work space. The ample desktops are suitable for a range of work styles, while the flexibility allows a perfect fit with any chair or stool. 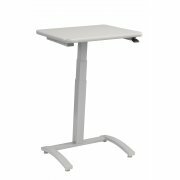 The welded sleek steel frame is angled and bolted to the u-base to ensure absolute stability at any height.